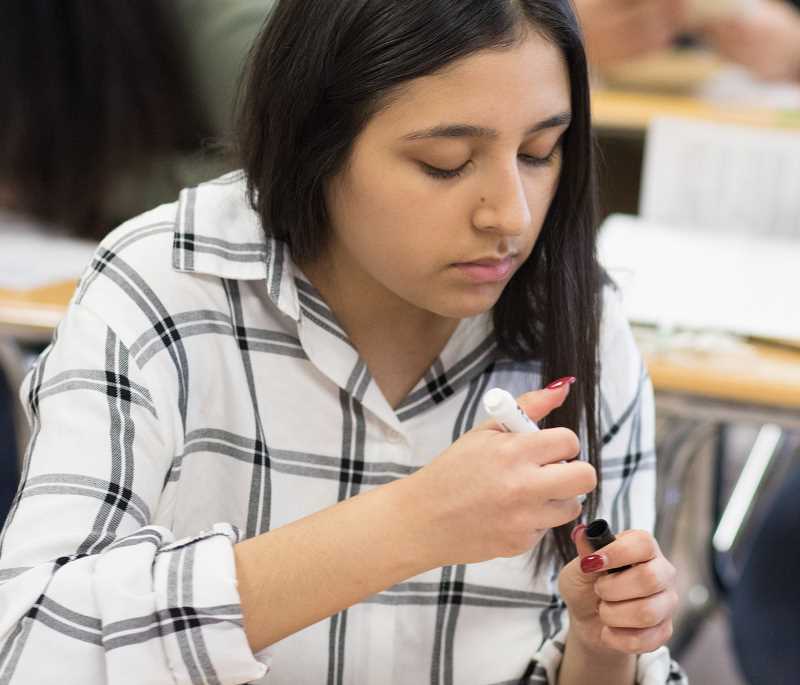 Editor's Note: The News-Times has been following Forest Grove High School's response to the racial and political tensions that sparked a student walkout last May. Due to the variety of new approaches the school has tried, this story will be presented in several parts. Today, Part One looks at a powerful community-building program brought to the school last fall. Sergio Bucio never expected to find himself comforting a Trump supporter. Yet here he was, reaching out to touch a distraught boy in a Trump shirt. 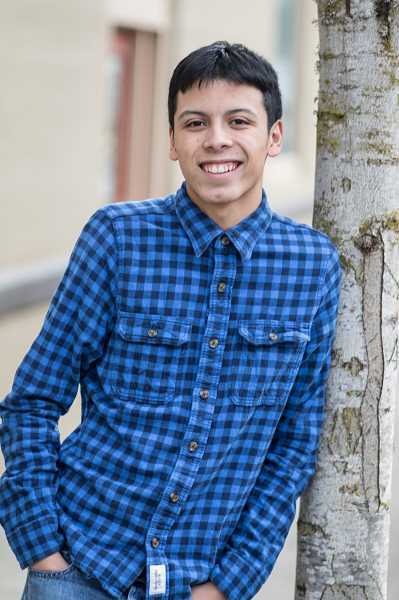 The Forest Grove High School senior thinks President Donald Trump is insensitive and self-centered and would never be able to understand Bucio's life experience. Last May, Bucio and 600 other students walked out of school to protest what they felt was inflammatory, anti-Latino campaign rhetoric from Trump — and from fellow students who repeated it at school. Immediately after the walkout, teachers, administrators and counselors sat down with FGHS students to get ideas for responding to the racial and political tensions that had led to hurt feelings, fights, tears and suspensions. When school started last September, they were ready with new approaches, including new books, a new curriculum, a whole new class, a new mandate for community building in every classroom and more. According to at least some students, the efforts appear to have made a difference. There was a tense period immediately after Trump's election, according to junior Sofie Dobberfuhl, who wrote a column for the News-Times describing comments such as "'Hail Trump,' 'Go back to your own country,' and 'Get ready for all the Hispanics to be deported' casually thrown around the hallways, cafeteria and sometimes classrooms." But that died down. At this point, Dobberfuhl said, "If there are a lot of tensions, I'm not witnessing it." Maybe nobody wants to get in trouble, she said. "I still feel there's a divide," said junior Marina Aranda. But she acknowledges progress too. The change in school climate started with what some students say was the most powerful addition: a special three-day, team-building program called "Breaking Down the Walls." That's where Bucio found himself standing next to the boy with a Trump shirt. Breaking Down the Walls is an interactive program "designed to unify, empower and engage every student to create a positive and supportive campus climate," according to the website of the company that created it, North Carolina-based Learning by Living. Language Arts teacher and Activities Director Daniel Stapp brought it to FGHS in October. After an all-school assembly, 350 specially-chosen students participated in a more intimate, powerful series of activities over the next few days. They started by breaking into small groups and loosening up with a pep talk and a mixer activity called "A Minute to Meet," where students had to learn as much as possible about three random people in a minute's time. Then came an activity called "Cross the Line." As the students stood in two long lines, facing each other from opposite sides of the basketball court, the exercise leader read questions about different thoughts, feelings and experiences. If a person's answer to a question was yes, they were to walk to the median line of the court and step across it. The questions started out somewhat lighthearted but became progressively more personal, with inquiries about whether participants' parents were divorced, whether they'd ever felt their lives to be meaningless or considered suicide and whether they felt uncomfortable with who they were. The goal was to create respect and empathy between everyone who participated, Bucio said. It took the focus off politics and identity groups, which had created the kind of negative school climate that exploded in last year's walkout, and instead "focused on students' individuality — and that's what we needed," said Aranda. Bucio's first reaction to the boy standing next to him was anger that he'd wear such an obviously polarizing T-shirt to an event designed to bring students together. "I was like, 'Oh my gosh, have some respect." But as students began quietly revealing their hidden struggles, the boy in the Trump shirt revealed painful secrets with a vulnerability that surprised Bucio. "He was just very emotional," Bucio said. "He almost started crying. I put my hand on his arm. We had a 'moment.'" A similar thing happened with another Trump-supporting student who during the same exercise "broke down crying, like hard-core," over a close family member who had died, said Bucio, who'd known nothing of that family tragedy. Within days, Bucio said, he messaged the boy, who had posted a photo of the family member online. "I was like, 'Listen, I'm really sorry for having these bad judgments of you in the past, like just because you support someone I may not agree with doesn't mean I have the right to not respect you," Bucio said. Before Breaking Down the Walls, Bucio had no relationship with either of those schoolmates, other than a vague dislike because of their pro-Trump attitudes. Now when they pass in the halls they smile and say hi, he said. Bucio, who is also the diversity editor for the school's online newspaper, The Advocate, wasn't the only one moved by the experience. Senior Daniela Moro reports being shocked at some of the students who stepped across the line with her for the question about divorced parents — students she'd assumed had two-parent households because they seemed so happy and successful. It felt good to know she wasn't the only one struggling with the complications of that situation. There were more surprises at the end of the event, when participants all sat on the risers and were given a chance to say something personal and important to someone else in the crowd. One student, remembers Aranda, said how grateful he was to be in the program "because during school he felt like nobody, like he was really alone, he didn't have any friends." The boy was comforted to know the students he'd met that day were supportive of him and willing to get to know him. "It was eye-opening to me that someone in our school feels like that," Aranda said. Another student apologized to a specific teacher for joking around and not doing work or paying attention during class, then promised to try to do better and take the work seriously. Another gave an emotional thank-you to his coach for serving as a role model and spending so much time with him while he was struggling with problems at home. Bucio was surprised because the boy always looked confident and was active in high-level student groups. "You wouldn't imagine," he said. That lack of imagination led to surprises throughout the exercise, where classmates who seemed popular, academically successful, good in sports and involved in school government or other top-level clubs revealed things about themselves that none of their fellow students imagined. The surprises included school staff members, who also participated — and who became more human to the students when they "crossed the line" for certain questions. "That was huge," Bucio said of realizing how teachers had to travel the same rocky path that students did — and that every human does. Even learning during the "minute to meet" mixer that a staff member grew up in a family of nine children gave Bucio a different view of the person and reminded him that teachers and administrators have their own private lives. Overall, the Breaking Down the Walls event was "super powerful," said Dobberfuhl, who noticed a more positive, community-minded mood in the school afterward. 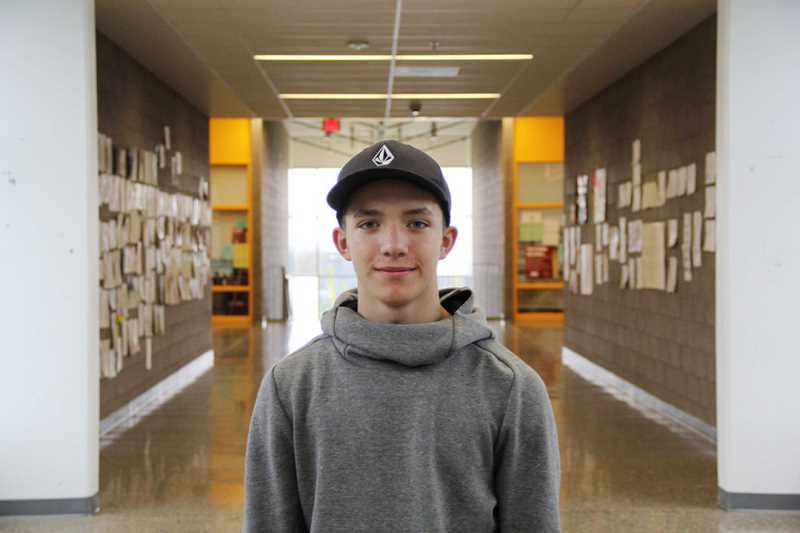 "I've been seeing people in the halls in a new light," said Zachary Mossbarger. "I smile at people that I know are having a hard time. I've gone up to people and said hi to them, made sure they're OK. I had personal conversations with people that I didn't think I'd ever talk to." Junior Catalina Montelongo said the program "helped me realize that I should not be so quick to judge people." Walker herself wrote that "I was blown away at some of the things others have gone through." Spanish teacher Oralia Najera said students seem to have more empathy for each other. "I haven't seen any of my students making any of the comments that they were making last year. Hopefully Breaking Down the Walls has had something to do with that." FGHS Principal Karen O'Neill said there are already plans to bring back the program next year and add an extra day in order to reach more students. NEXT WEEK: Forest Grove High School creates a new class based on requests from students after the walkout.